SURFBOARD riders won’t have to depend on outboard motors or speed boats to pull them over the water in the future. 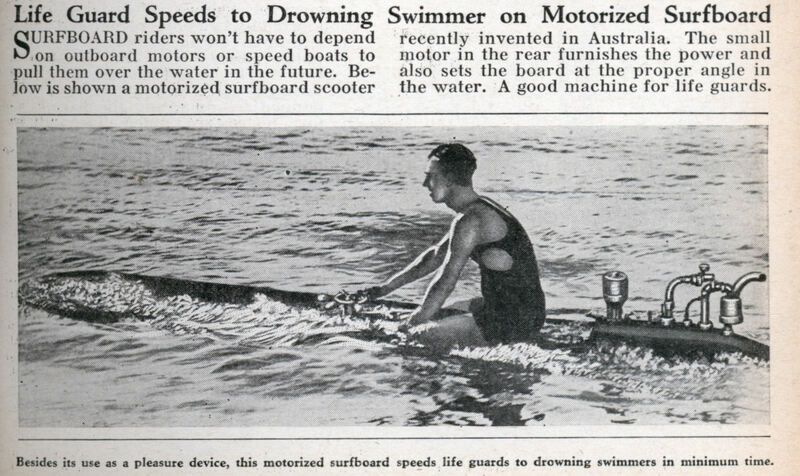 Below is shown a motorized surfboard scooter recently invented in Australia. The small motor in the rear furnishes the power and also sets the board at the proper angle in the water. A good machine for life guards. 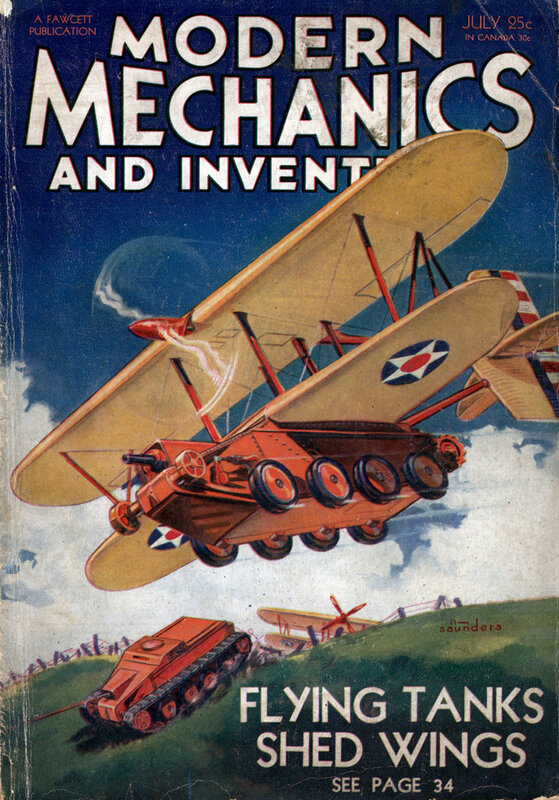 With a battery and electric motor this would still be a good idea today. Not exactly a jet-ski, but getting there. Huh. I’ve never seen a cartoon-powered surfboard before. @ Warren – That ain’t a cartoon, thats photoshop 30’s style!